Just B Au Naturel's Clarifying, Detoxifying Facial Mask is ideal for the oily and blemished skin. Green clay has strong drawing power and match is a great antioxidant agent. Purifies oily skin, heal blemishes and tighten pores and clear. It gets rid of impurities and stimulates good circulation. It is high in magnesium and is perfect for congested skin, acne, and excessive sweating. French Green Clay is a powerful antiseptic known to clear skin problems and heal blemishes. 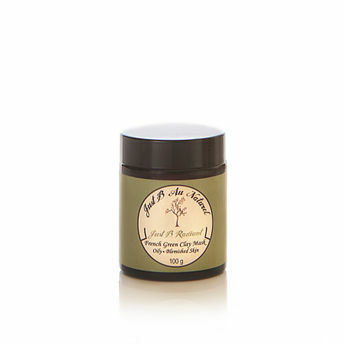 If you have large pores and black spots green clay will clean deeply your skin, tighten the pores, exfoliate dead skin and reveal a smoother and fresher complexion.